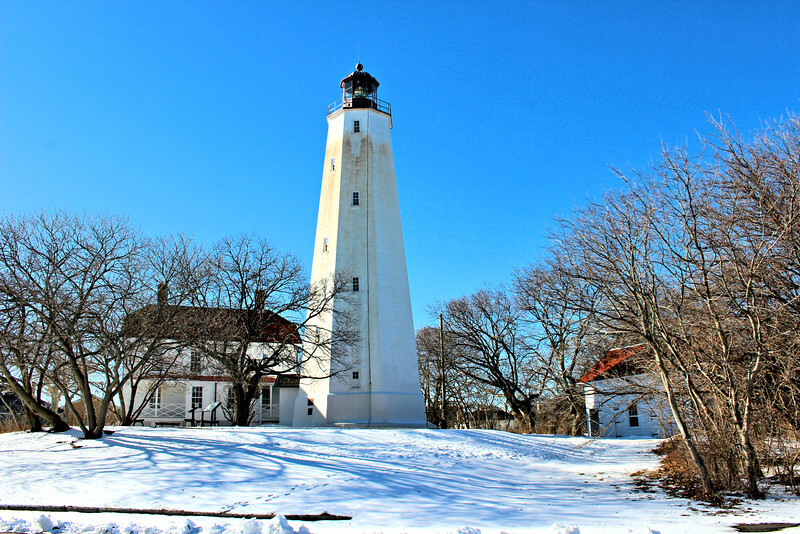 Sandy Hook is the grand-daddy of all U.S. lighthouses - it is the oldest lighthouse tower and was built under British rule in 1764. A lighthouse at the entrance to New York harbor was suggested as early as 1679, but several shipwrecks which occurred in 1761 led to action by NY merchants. 43 merchants signed a petition to the Crown to have a light built and suggested a lottery as the means to raise the necessary funds. In 1857 a major tower renovation took place and the interior was lined with brick.